The holiday season brings with it a sense of joy and anticipation like no other, but sometimes planning out gifts for your loved ones can be stressful. 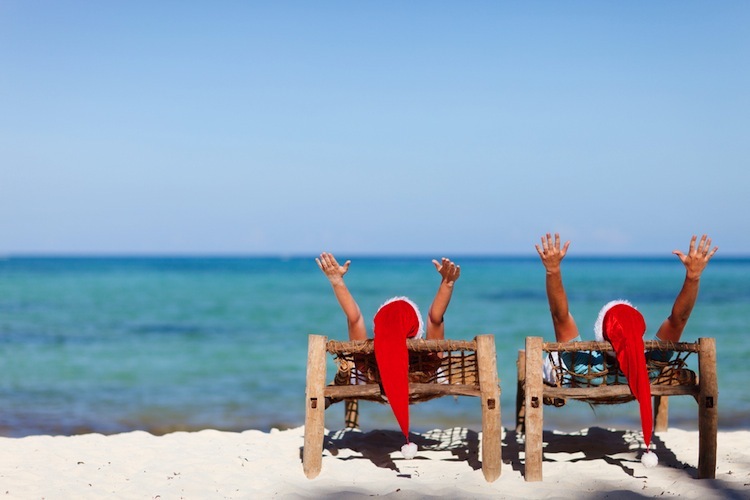 While we may not be experts on all gifts, we know a thing or two when it comes to taking a beach vacation! That's why we've compiled a list of the Top 10 Gifts for the Beach Traveler in your life. In recent years, the city of Myrtle Beach has prohibited the use of beach tents between Memorial Day and Labor Day. Help the beach lover on your list stay cool in the shade with a beach umbrella! Umbrellas measuring up to 7.5 feet in diameter are allowed on the beach throughout the year, as long as they are in line or behind the established umbrella line. Since no other shading devices are permitted on the beach during the Summer, a fun beach umbrella is the perfect gift for someone who loves to relax on the sandy shore! There's nothing worse than getting to the beach and realizing your towel is about two sizes too small. 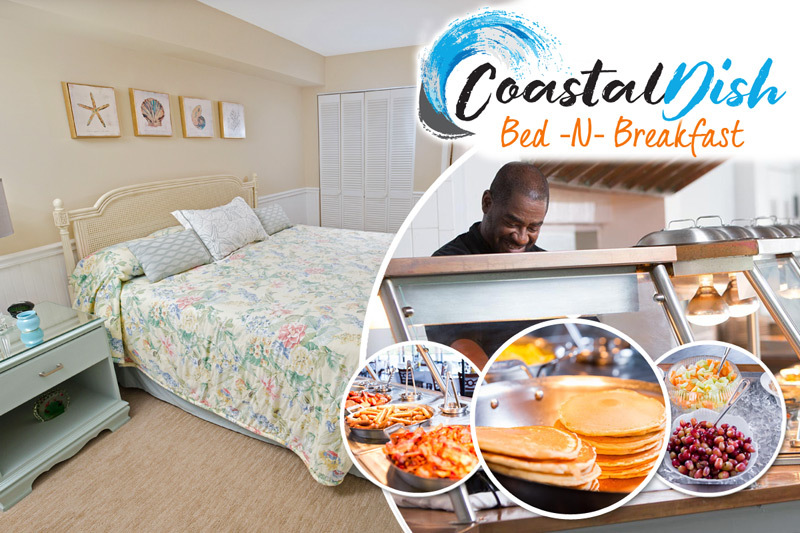 Get your favorite beach traveler an oversized beach towel or blanket, so they will have plenty of room to lounge and watch the waves crash during their next Myrtle Beach vacation! Whether traveling to the beach during the Summer, Spring, Fall, or Winter, staying hydrated is always a must! With a convenient cooler, the beach traveler will never be without a cool, refreshing drink or snack to keep them going! Who wants to leave the beach, wash sand off their feet, and drive to a store or restaurant, only to return right back to the beach? With a cooler, your favorite beach lover can make the most of their time by the ocean. While the sounds of the waves, seagulls, and other beachgoers can be pleasing to your ears, another great gift idea for the beach traveler is a wireless bluetooth speaker. Just turn on your cell phone's bluetooth connectivity, and you'll be able to add your favorite tunes to your beach day! Be sure to find a speaker that is waterproof, just in case your loved one gets a little too close to the surf! Help the beach traveler in your life out by gifting them a pair of sunglasses for their next beach vacation! A great stocking stuffer idea, sunglasses help make any trip to the ocean more enjoyable. The beach lover in your life will love you forever if you surprise them with a GoPro camera this holiday season! Perfect for the adventurer, GoPro cameras can document every step of your next Myrtle Beach vacation. You can even take this gift one step further by purchasing the attachable Super Suite Dive Housing case, which turns your GoPro into a waterproof video camera! Imagine the great beach vacation footage your loved one will be able to capture! You can't go wrong with the GoPro camera for the beach traveler in your life. Though it may not be the flashiest of gift ideas, sunscreen is the practical gift that every beach lover needs! With seemingly endless types and brands, featuring a wide variety of scents and forms, you'll be sure to find the perfect skin protectant. What's a day at the beach without toys and games? Make the beach traveler on your list happy with fun gifts like high-soaring kites, beach balls, frisbees, and more! For those who enjoy going out into the ocean, make them smile with a fun float or inflatable raft to take out on the waves! Help your favorite beach traveler make the sandcastle of his or her dreams during their next beach getaway along the Grand Strand! From shovels to shape molds to buckets and more, there are plenty of sand tools to make playing in the sand even more fun! Nothing gets the beach lover's heart pounding like some time out in the surf! Give your beach traveler the gift of waterspouts, when you gift a fun boogie board or skim board for their next beach vacation. These products are sure to make for an even better day by the ocean than you could have predicted! We're sure the beach traveler in your family will love any of these gifts this holiday season. If you have anyone on your list who has been especially nice this year, you can always give them the ultimate gift: a Myrtle Beach vacation! Check out our variety of sales and specials to find the vacation that is perfect for you!